GTA Online’s next big DLC is now live for consoles and PC. The new major update for GTA Online is now live to download on consoles and PC. Further Adventures in Finance and Felony charges players with taking on the CEO role of a criminal empire, moving, stealing and fighting over contraband. As is customary, it introduces a new set of vehicles including sports cars, boats, helicopters, planes and more. There’s also new clothing, and the opportunity to open new business offices in which to base your criminal empire. 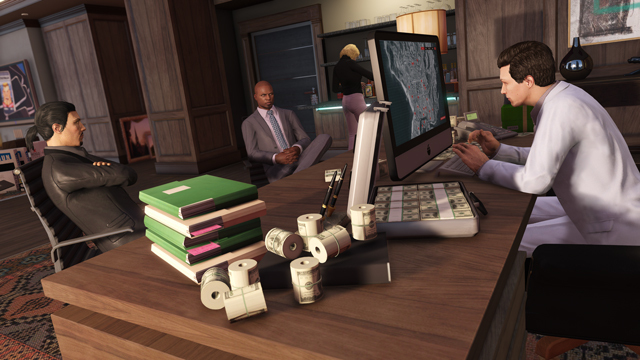 Check out the prices for all the new vehicles and details of the offices and new modes here. The download is around 1.5GB. Go get, trooper.